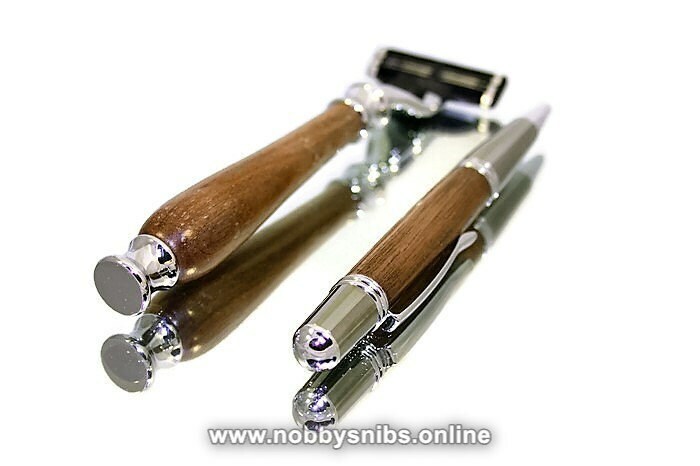 Handmade Matching Gift Set Of A Wooden Pen and Gillette Mach 3 Shaving Razor Handle. 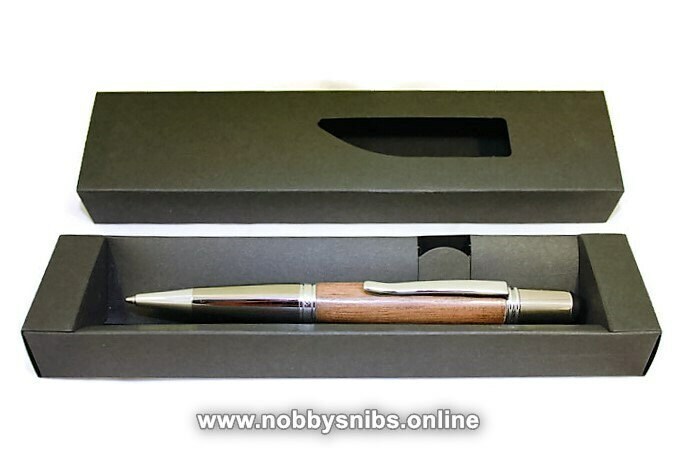 - Matching Gift Set containing a pen and razor handle. - Both have been handmade from a solid piece of American Walnut. - Perfect Fathers Day gift. 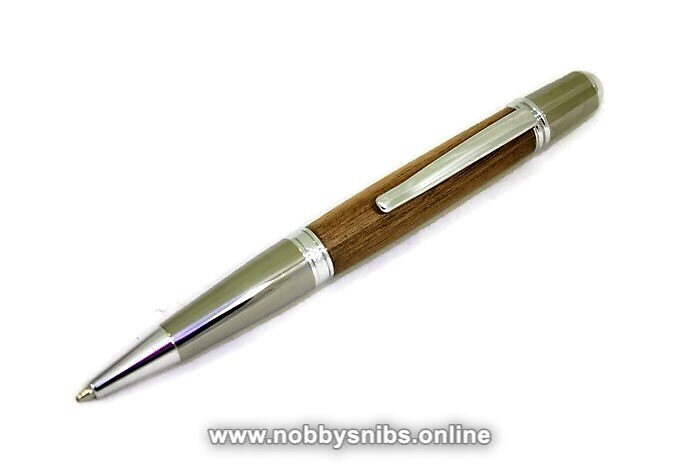 - The pen takes a Parker-style refill and comes with a choice of either blue or black ink. - Perfectly shaped and balanced for an exceptional shaving experience. - Accepts the popular and readily available Gillette Mach 3 cartridges. - Perfect gift and ideal present for Christmas, Birthday etc. 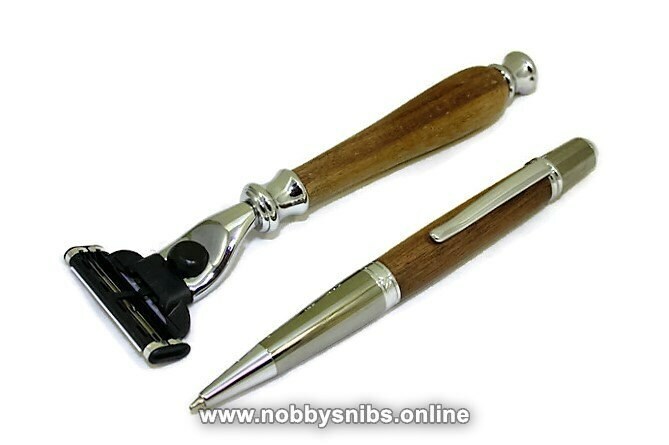 - The razor handle will come in a card gift box. 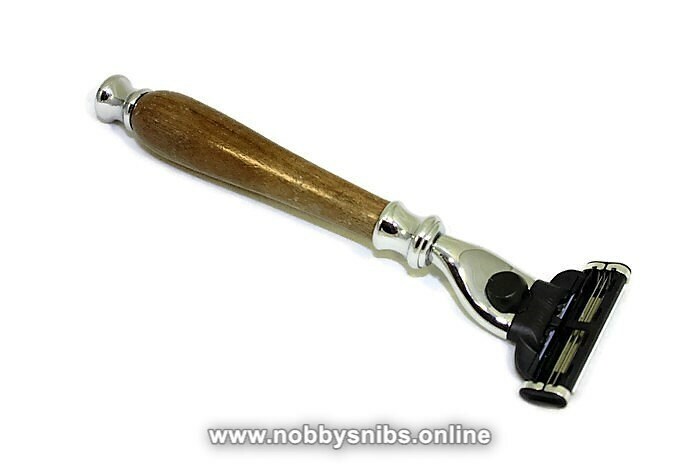 - Razor handle measures approximately 13cm (5") long and 2cm (3/4") at it's widest. - Will stand upright when not in use, thanks to the flat bottom and weighting. - The handle shown in the pictures is the actual one for sale. - All of my items are individually hand made. Each one is unique. - This has been waterproofed and protected, but, I would advise drying it after use and storing it in a dry area. Please note: due to postage regulations, I am unable to supply razor cartridges, this listing is for the handle only.